The priests that are included among the saints are guides to true authority. Before they were entrusted with the priesthood, they understood its divine and lofty character and, like the Seraphim, shriveled with shyness and timidity and put off any thoughts of claiming it. Once they were granted it, however, their works and manner of life clearly show how they maintained their right attitude to it and how they managed to fulfill in themselves its true character. The sainted priests' manner of life, then, is a first, realistic answer to the quest for a pure and worthy priesthood. All priests, say St. Symeon, are called to become by divine grace sharers in the worthiness of the saints. All of them are bound by duty to order their lives according to the example the Saints provided. They can amend the problem of diversification from the integrity of the priesthood following the example of the saints, i.e. by measuring their ministry and life against that of the saints. The reason for this being the case lies in the fact that when priests turn to the saints, they find another, even greater, answer, which is given by the saints themselves. They find God's sanctifying grace overcoming all evil. 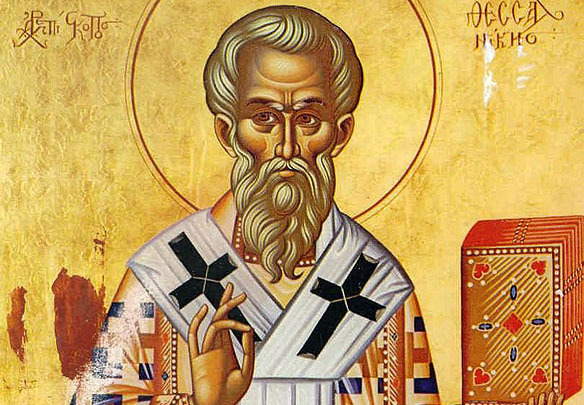 In the last analysis, says St. Symeon, the true character or integrity of the priesthood does not rest on the priests themselves, nor is it achieved by them; nor even by those saintly priests, who have been cleansed and delivered from earthly passions and live the angelic life; indeed, not even by the angels themselves. Ultimately, it is God alone, who achieves this. Because God alone, says St. Symeon, has brought into being out of nothing all things that exist, and He alone can uphold and sustain them and, indeed, alter and change them. Thus, priests, too, being human, are in need of transformation and recreation, inasmuch as they too, like all human beings, have been involved in "the terrible crash of the fall; they have lost their true and good shape, their original beauty, by disobeying the eternal, immortal and unchangeable God and obeying the rebellious devil, who hates all goodness and delights in all evil." What St. Symeon says here is that "unworthy priests" mean unworthy human beings, who fall into evil and are in need of God's grace in order to be delivered from it. But what is the nature of evil? And how do human beings fall into it? This is what St. Symeon examines next so that he can elucidate how divine grace ultimately restores an unworthy priest to the integrity of his office.